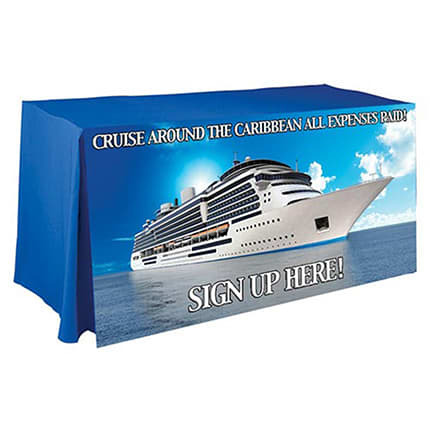 Don’t get lost in the hustle and bustle of trade shows. 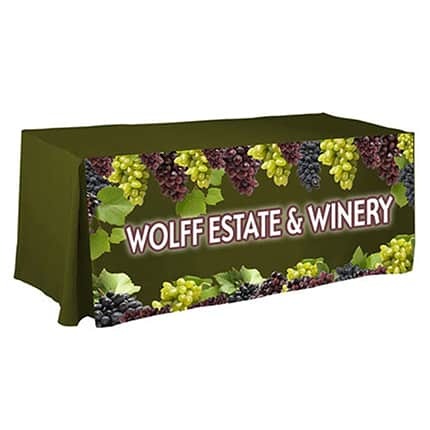 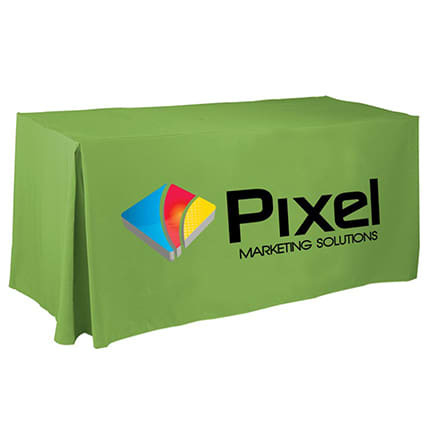 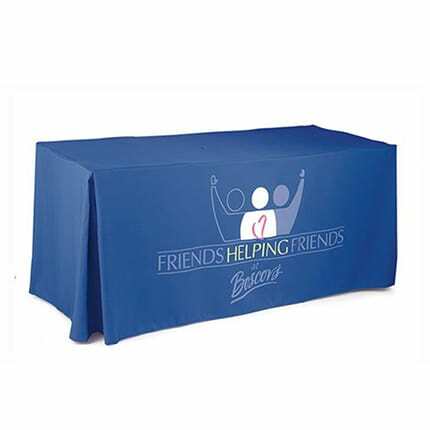 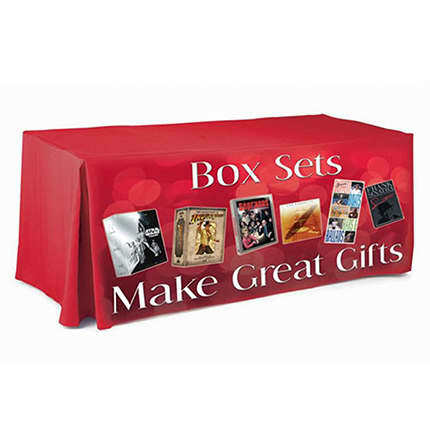 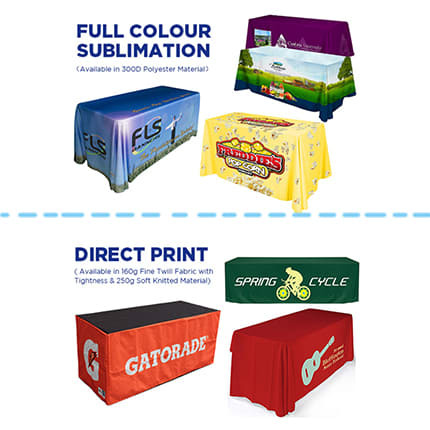 Announce your brand presence with the Custom 4-Sided Pleated Event Tablecloth. 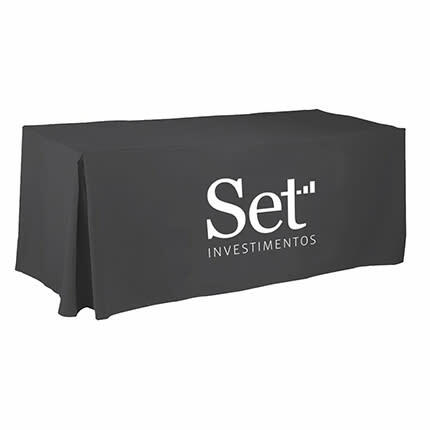 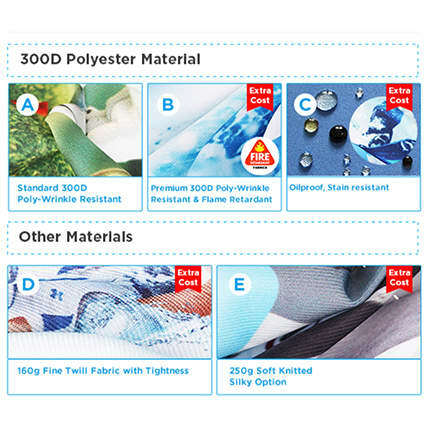 Made of polyester, it is machine washable fabric, which means you can use it time and time again for other promo events. 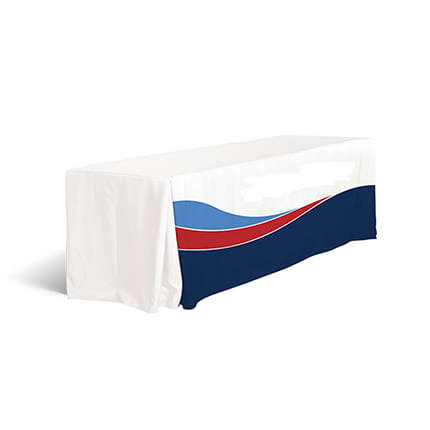 Available in 3 sizing options: (Small) 4ft, (Medium) 6ft, (Large) 8ft.